Tooth discoloration is one of the most pressing cosmetic concerns that patients express during their visits. Because enamel is a porous surface, stains are inevitable even if you do not have a coffee obsession or drink red wine. Fortunately, teeth whitening has made it possible for you to manage the brightness of your smile, and even take it to new heights. If you choose to whiten your teeth, though, remember that too much of a good thing may not be so good. We see it time and time again. Patients finally get fed up with the color of their teeth, so they start to whiten. This may be either with commercial strips or with professional treatment. In either situation, there is the temptation to keep going or to go to quickly with the whitening process. Both commercial whitening and professional whitening are safe and effective when treatment occurs in the recommended manner. Many patients, when they start to see the color of their teeth lighten, get excited, and they stray from the recommended usage of their whitening system. There are a few ways in which going too far with whitening can create problems. When you whiten your teeth, the peroxide gel seeps into pores to break apart molecules of discoloration. At the same time, this gel somewhat degrades the protective layer on the surface of your teeth. This creates sensitivity. Overuse of this gel can heighten that sensitivity substantially, creating quite a bit of discomfort. A whitening gel is a safe substance when controlled. When it is not controlled, there is a risk of tooth erosion over time. Professional systems are intended for short term use every year or so, as are commercial strips. When whitening is performed more frequently, teeth may begin to look “pearly” and translucent. Without sufficient enamel thickness, discoloration becomes a constant problem, as does sensitivity. The color of your teeth lends to your overall appearance. Teeth that are too white for your skin tone could be a distraction that robs you of the authentic aesthetic you want. We love helping patient safely attain the bright smile they have wanted. 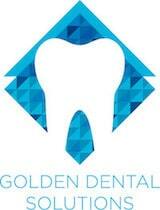 To learn more about our teeth whitening services, call our Golden office at (303) 277-9600.